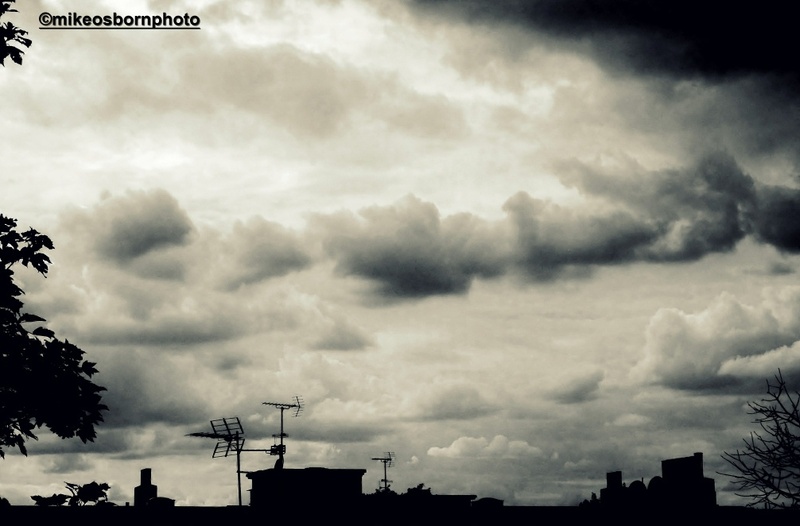 The first photograph I showed you from our new roof space was an angry, cloud-smudged sky. There is a shift in mood here, to a calm evening around sunset, the chimney bristling with branches and the proud, upright TV aerial. What intrigues is the cloud formation, slashing the sky and leaving a blunt but neat wound. It has obvious impact in colour but has strength in the sepia rendition, like a scar from an operation.